Prof. Jerzy Buzek is the former President of the European Parliament during the 2009-2012 term, the first representative of the European Union’s new member states on this position. In 1997-2001 Buzek was the Prime Minister of Poland. Buzek led the Polish accession to NATO in 1999 and initiated accession negotiations with the European Union. 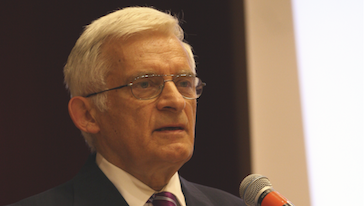 In the 1980s Buzek was an activist of the anti-communist movements, including the Solidarity trade union, acted as a chairman of the first national general meeting of Solidarity in 1981. In 1963 he graduated the Silesian University of Technology. In 1997 Buzek became professor of technical science. Solidarity is a polish symbol – „Solidarność”. Solidarities’ deep roots in Europe. The beginning of the European integration, continent was in ruins. At the end of the war, physically damaged, destroyed cities, hate were between people and disagreements, indifference, loss of hope. This is what Europe looked like. Europeans understood that after the 2nd World War, without the close cooperation, Europe cannot be rebuilt. Not only in the physical sense, but also mentally. Community building and cooperation aimed not only to rebuild the Europe which was in ruins, but also to repair mutual relationships and to make sure that such conflict will never happen again. And Europe was rebuilt on the foundations of solidarity. Solidarity means cooperation against the logic of force. This is the European understanding of solidarity. Prosperity and peace based on community to restore dignity of citizens. Dignity of individuals. The history of European integration is also defending common values. Freedom and human rights – we should never forget about it. It is also to provide social security, this after all, dignify life, is also life free of hunger. This is all about solidarity, this is the principal of European policy understood as need to build community, not only the internal community, but also the global community. The experience of solidarity as the experience of the entire EU. Our Polish or Central-European experience of solidarity harmonizes with the European experience. This is not only the experience of our democratic transformation, it is the experience within the entire EU after 1989, and we see it today, better than ever. And we also know that our revolution of Solidarity restored again the bright to the word of the solidarity in the EU and it gave this word a new meaning and the recent changes in northern Africa show that it refrains to the European experience of this solidarity, it’s clear. Solidarity – New committment of „New” EU member states. Countries of our region are strong advocates of this sort of European solidarity, It’s good, it’s important. It makes our community continue but it is not only about the survival, it is about the global meaning of our community. It is the key matter I want to address. Because problems of Europeans and problems of Poles need often to be solved beyond our continent (the crises which was imported to Europe and also problems with the energy sector, terrorism, and many other problems). Development policy is long term investment and commitment. Development policy fallows not only on the moral commitment because this is obvious. It results from such interest we have. Development policy is an investment in building peace and prosperity in all over the world, investment in democratic values, development policy is our key instrument in relations to less developed countries. It is the way of solving global challenges because we already know today that permanent and long-lasting balance will not be possible without democracy and growing prosperity. Development Policy – our own interest. Sustainability is only possible when we provide foundation of democracy and we make it possible for the living conditions to improve. Development policy may and should be such a instrument to achieve those goals. So this is about our own interest not only about normal human commitment, moral commitment. The crises, climate changes, job migration, the afraid of terrorism, all of this we see in Europe today, but today the problems of one region effect directly the situation of other corners of the world and we import many or most of the problems to Europe. We are the largest donor as a community so also I would like also to get other powers to involve to our policy. Development Policy – unfulfilled commitment. Act to development policy is also one of the commitments. In 1970s (then we didn’t dream about Solidarity and independent trade unions), EU countries committed to spend 0.7 % of GNP on official development assistance and now it is only Sweden, Luxembourg, Denmark and Holland which fulfilled the commitment with EU and 30 years ago. On the European forum we adopted the Millennium Development Goals. These are specific goals, with deadlines. In 2005 few countries have adopted the European consensus on development at that time we were already new member. The consensus was targeted at 0,7% of GNP for development aid is to be reached gradually. Countries which joined the EU in 2004 and 2006 are in worse economic situation so this target is spread for them. By 2010 our development assistance was to reach 0,17 % of GNP and in 2015 this to account 0,33%. These targets are much lower compared with other new members. For them it is 0,51 and 0.7 %. Our commitment is to take into account actual possibilities, but still this is a distant target. 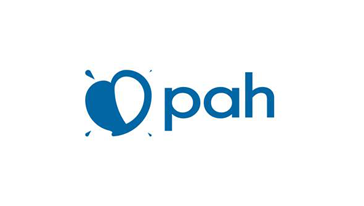 Opportunity for Poland – need for work. There is an opportunity for Poland because it’s in our interest to invest in this. So on the one hand we have the experience of solidarity and we also understand the importance of ways of development policy and we fill it particularly well in relation to countries which are on the east of Poland which is natural and soon we will take over the presidency in the EU. We also have an unfulfilled commitment to put on pour Polish presidency. If we are to be perceived as a serious partner which has a effect on many decisions of the EU we must only fulfill our commitment but also motivate others, so we are proud of it experience of solidarity. We would like to build the Europe on the foundation of the solidarity, we must live in accordance with solidarity ourselves. It is not only about promoting internal solidarity associated with the EU budget, it is about remembering that our interest, not only the moral commitment is going far beyond the EU and we must make development our top priority. It is not about making of this the top priority but we should not spend the least money from all the EU countries per capita. We must also spend the money well, we need the appropriate legal regulation, coordination on the international level, we need support of politicians, polish politicians and the entire society. This is not about making a development policy the main priority, this it about making solidarity for development and new dimension of Polish activism within the EU. Let us to look for the niche within the development policy the EU, to share the experience of transformation, to mobilize the civil society with collaboration with NGOs, political foundations, universities, medias (well known representative is present here). We need support, huge political or national spirit to make it our great message. This is not a challenge for 6 months of presidency, but our presidency is a good opportunity to begin that. If we can do that, after the Polish presidency something permanent and great will survive. Within the presidency we need to coordinate the operations and working of 27 members states on the summits, this include the development policy. We will propose concrete solutions but our work should not end on the 31th of December. Prof. Buzek shared his reflection on meeting with Bill Gates in Strasbourg, in the EP in April. He came to EP to promote the Living Proof campaign, this is series of documents and publications showing specific cases, specific people whose lives changed thanks to development aid so they could positively affect the lives of others nearby who also needed assistance. BG is involved in helping them. Someone will say, BG is the billionaire and he is the one of the richest men in the world and he can help but there are millions of us and we can also help. This is what solidarity is about, that together we can do great things, we can change the world together. And if so – how should we decide to not to do this. It is to try just as 31 years ago we tried to win by organizing Solidarity. We had no idea if we will succeed but we did it.